MOSCOW, December 25. /TASS/. The Project 22350 lead frigate Admiral Gorshkov will be delivered to the Russian Navy in 2018, President of the United Shipbuilding Corporation Alexei Rakhmanov said on Monday. "Unfortunately, no chances have been left to raise the flag aboard the Gorshkov this year," he said. 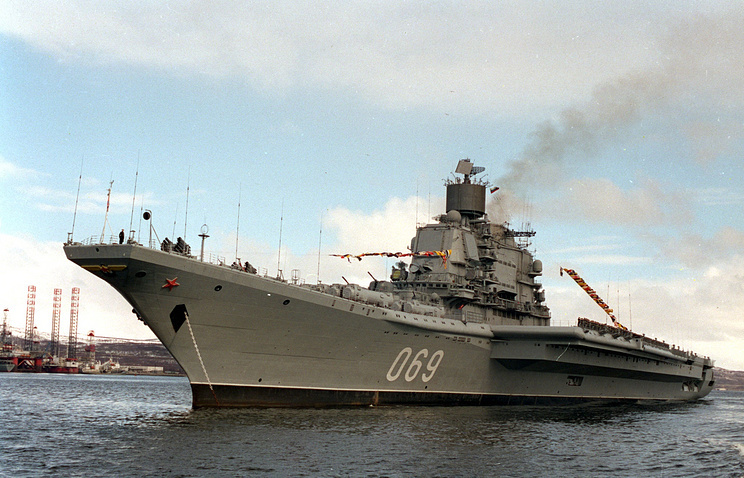 The delivery timeframe has been rescheduled due to the Navy’s requirements to test all the warship’s systems again and fully conclude all R&D works aboard it, Rakhmanov explained. 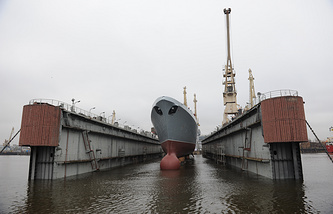 Instead of its delivery for operational evaluation, the Admiral Gorshkov will immediately enter service with the Russian Navy after the entire range of trials is over, the president of the United Shipbuilding Corporation said. "Numerous inter-fleet passages have really turned the warship into a floating laboratory," he added. 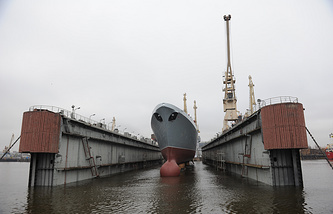 Meanwhile, the works on the second warship of this series (the Admiral Kasatonov) will be considerably accelerated after the lead frigate is delivered to the Navy, he said. "The Kasatonov will be delivered immediately after the Gorshkov. We hope that it will remain in the 2018 delivery program," Rakhmanov said. Project 22350 warships displace 4,500 tonnes and can develop a speed of 29 knots. They are specifically armed with Oniks and Kalibr cruise missiles and Poliment-Redut antiaircraft missile systems.